The McGarrell Reilly Group are delighted to introduce the latest phase of Millerstown with a new three-bedroom house type – The Birch. With three large double bedrooms to enjoy, these new houses in Millerstown come detached or semi-detached, depending on budget and preference. The three-bed properties are built in traditional masonry construction with numerous attractive features, including brick elevations, high ceilings and large tall windows affording plenty of light in the rooms. The living rooms and bedrooms are spacious and well laid out. The kitchens exude quality with a contemporary style from Kitchen Elegance. 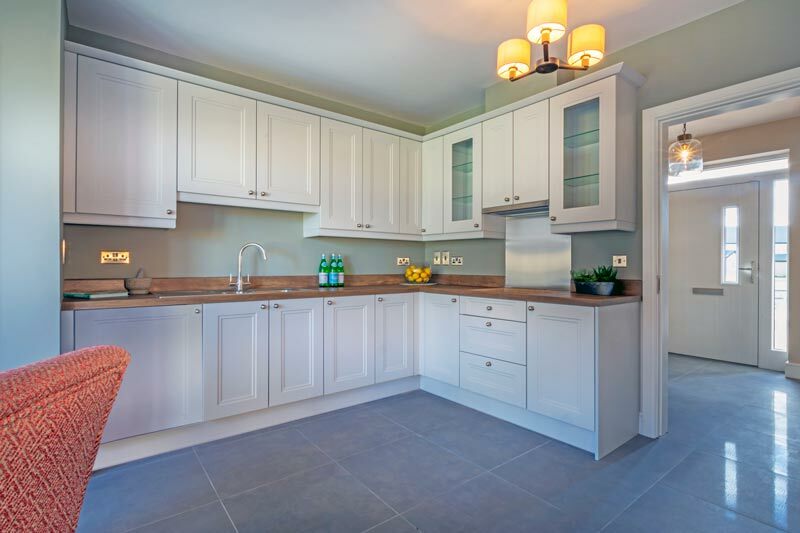 Some features included in the kitchen are soft-close drawers and doors, satin chrome sockets and switches, under-sink pull-out bins, stainless steel bowl sink, and a separate spacious utility room. The bathrooms and ensuites in these new homes are also are exceptional, with stylish wall tiling, polished chrome heated towel rail and a pumped thermostatically controlled shower. New homeowners will also benefit from a good sized garden front and back with ample car parking space in the off street driveways. 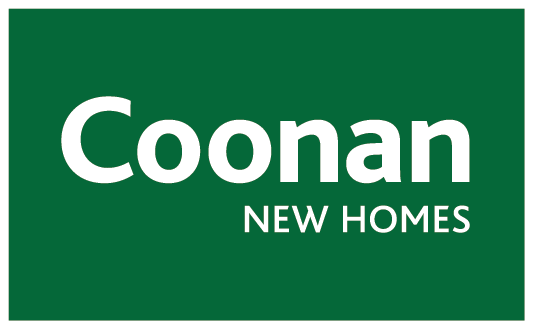 At €327,500, one of these beautiful new homes can be yours with monthly repayments of €1,022 based on a loan amount of €294,750. Millerstown is a prestigious development perfect for growing families. 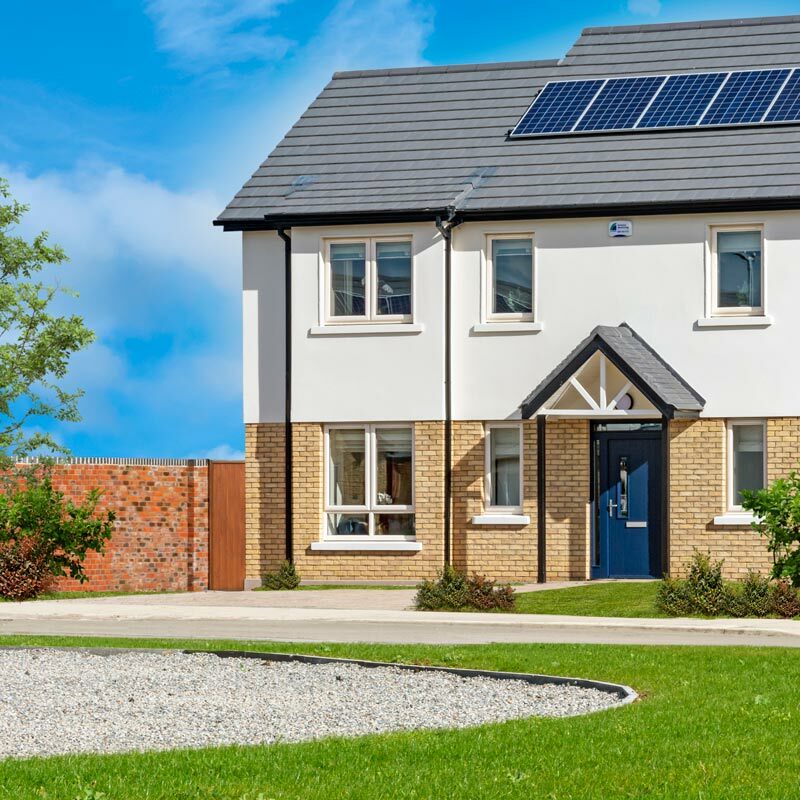 With a rich mix of different housing types with generous landscaping and planned play areas throughout the development, Millerstown is a great choice for a modern family. Just minutes’ walking distance from the village of Kilkock, residence of Millerstown will benefit from plenty of local amenities, top-class schools and great sporting facilities. Built by the McGarrell Reilly Group who have an outstanding reputation for quality homes, you know your new home has been constructed by the best.